Skip the line and get the best price by pre-booking your entrance ticket to Sealife Banalmádena—leaving you with more time to explore the marine displays and watch feeding demonstrations. 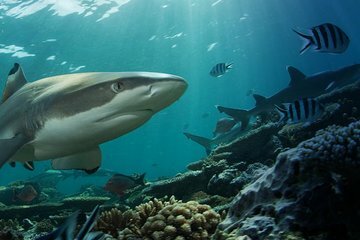 See a variety of sharks and the Costa del Sol's largest collection of seahorses. Walk beneath the skeleton of a Plesiosaur and, in the Interactive Rockpool Experience, find out what it feels like to touch starfish and hermit crabs.